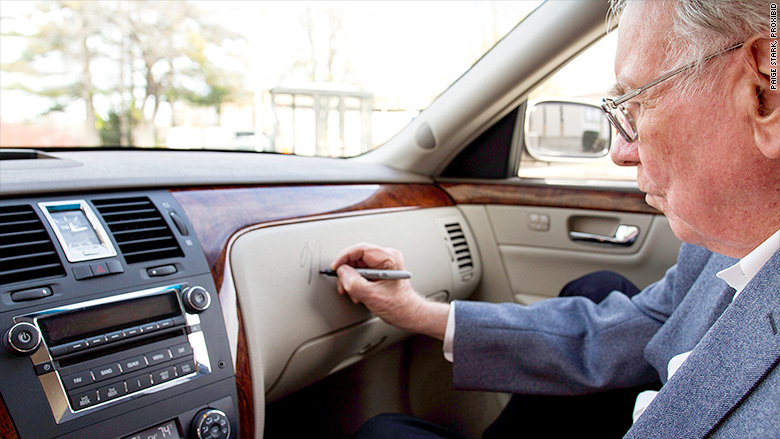 Warren Buffet's Cadillac DTS has only about 20,000 miles on the odometer. Warren Buffett, America's most successful investor and one of the world's wealthiest people, is auctioning off his car for charity. It's worth about $12,000. Well, that's what it would be worth if it were owned by you or me. 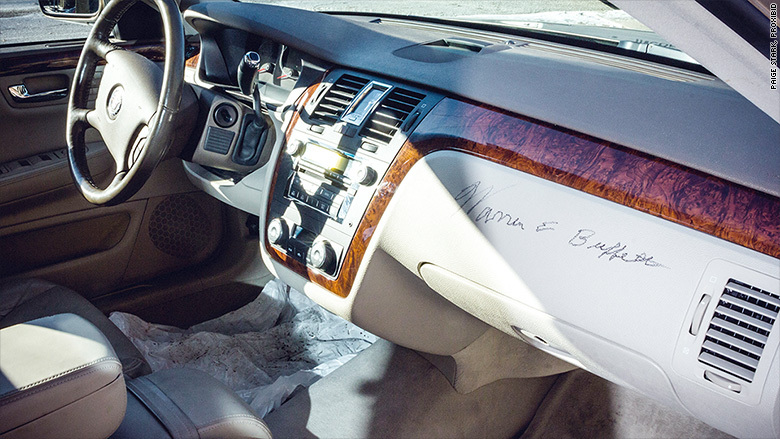 But since it was owned and driven by Buffett -- and even has his signature scrawled above the glove compartment -- it is expected to sell for considerably more. The last car Buffett sold off, a Lincoln Town Car, went for $70,000 in 2006, or roughly three times its ordinary value. 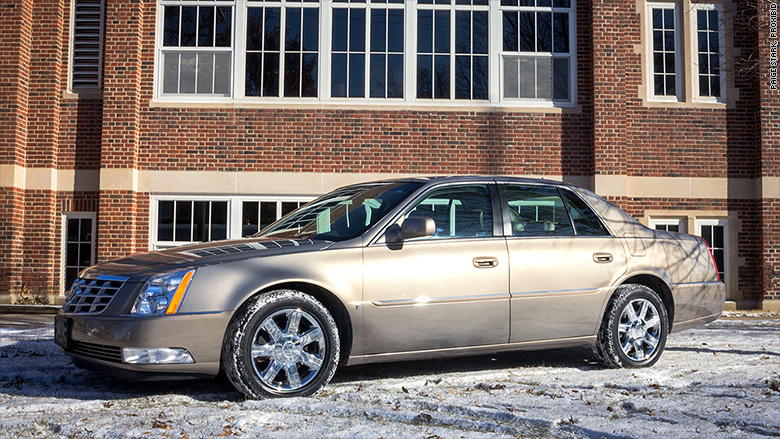 This time, Buffett is auctioning a beige 2006 Cadillac DTS. The DTS is a roomy, comfortable front-wheel drive car powered by a 275-horsepower V8 engine. Proceeds from the sale will go to Girls Incorporated of Omaha, a local chapter of the national group formerly known as the Girls Club of America. Buffett's first wife, Susan, who passed away in 2004, was among the founders of the Omaha Girls Club chapter. The auction will run online February 11-18 at www.proxibid.com/girlsinc. The car is a "cream puff," Buffett told CNNMoney in a phone interview. "If I were a used car salesman, this would be a cinch for me to sell," he said. The Cadillac, with only 20,000 miles on it, has leather in the interior with heated and cooled power seats, automatically dimming side mirrors, a parking sensor system and it is equipped for satellite radio. Buffett said he was unaware of which equipment in the car was optional because, as usual, he had his daughter, Susie, buy it for him and he gave her no specific instructions. "If there are options, it's because of her," he said. Nothing particularly memorable ever happened in the car, Buffett said. "If I was 16 or 17 I would have had a few memorable moments it the car," he said in jest. No momentous business deals were done in it, either, save one. General Motors CEO Mary Barra sold him a new Cadillac while the two were riding together in the DTS. "I said 'Does the new Cadillac have anything this one doesn't?'" Buffett recalled. "And we were driving to lunch downtown so she only had 8 minutes and she sold me a new car!" Last year, an opportunity to have lunch with Buffett was auctioned for $2.2 million and the money went to benefit The Glide Foundation, a San Francisco anti-poverty group. Presumably, though, someone bidding on a meal with Buffett would be hoping for a side dish of investing advice. In this case, the winning bidder will only get a car Buffett used to drive and which isn't likely to make them rich. This is about Warren Buffett, the celebrity and some celebrity names do add enormous value to a car. Probably the strongest example of that is the actor Steve McQueen. Cars and motorcycles he owned often sell for many times their ordinary value. But besides celebrity, Buffett's car is being auctioned for charity, and a charity connection usually drives bidders to offer much more money than they would otherwise. The interior color in Buffett's Cadillac DTS is "Neutral Shale."